I have been wanting to read this book for a long time. I don’t usually go for chick lit, but this seemed to have more of a literary quality to it so I decided to go for it. Commencement is the story of four college friends: April, Bree, Sally and Celia. All four girls have different personalities and backgrounds but they are all housed together during their freshman year at Smith. Bree is a sheltered girl who comes to Smith at her mom’s urgings. She is engaged at first but eventually breaks off her relationship with her hometown love and ventures in to a lesbian relationship. She is deally with her family’s unhappiness with her sexuality. Celia made the least memorable impression on me. She seemed kind of conventional at first but by the time she had been out of college for a few years and living in New York, she seemed more reckless. April was the radical one who took on every cause. After college, she can working for Smith alum Ronnie who made it her mission in life to expose the cruelties that women face around the world. She let her mission dictate her life, regardless of the fact that she was often put in dangerous situations, not to mention that a lot of the time she was exploiting the women she was trying to protect. Sally has a lot of southern charm but she is really devestated at the loss of her mother and begins to grasp on to anyone that will connect with her. The girls go through the same ups and downs any female friendships go through. I was glad I hadn’t read the Amazon reviews beforehand because some of them were brutal. 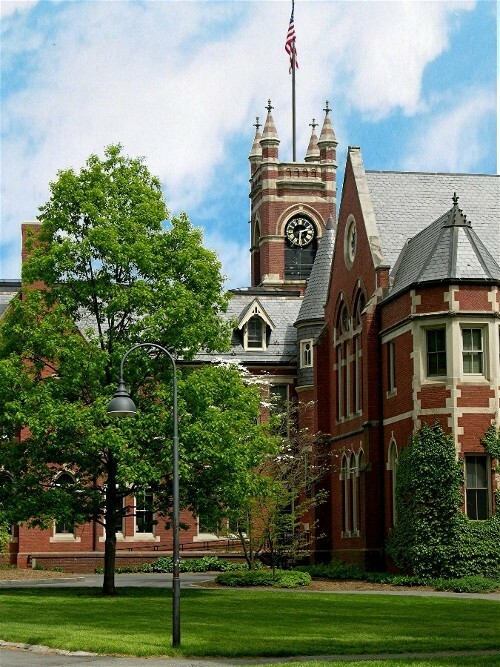 Many reviewers took offence to the fact that Commencement was given a positive review by the NY Times. 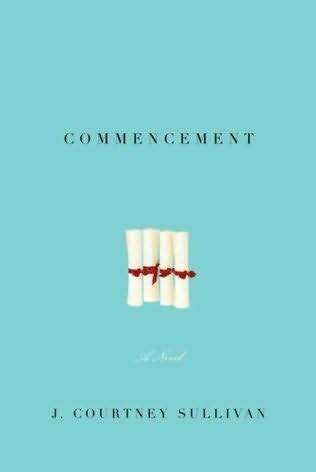 I will agree that Commencement isn’t the worthiest book ever written but it’s a fun look at female friendships. 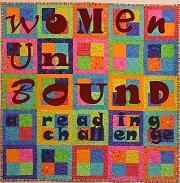 I felt that it was such a great alternative to typical chick lit. I would definitely recommend it. By the time you are reading this post, I will be in Florence. I am very excited–most importantly, I can’t wait to EAT. I think I will eat my body weight in pasta and gelato. I haven’t had the opportunity to go to Florence before, so I am sure I will have a lot to share when I get home. As always, I anticipate a lot of reading while I am travelling. I am sure that won’t be the case though. Plus, I need to remind myself that I don’t get to travel to Italy often, so I should savor my time there and not use too much of my time reading. I read two books this week. Both book reviews will be posted while I am on vacation. Commencement, by J Courtney Sullivan will be posted on Tuesday and O Juliet, by Robin Maxwell, will be posted on Thursday. I hope everyone has a great Sunday!! I am sure most of my fellow bibliophiles are a lot like me–you’ve tested out pretty much of reading journal out there. Everyone I know is aware of the fact that I love to read, so reading journals are a gift I’ve received more than once. In that respect, I was unsure of whether Read, Remember, Recommend would bring something to the table that the other journals wouldn’t. I realized right away that RRR is, above everything else, a great resource. The first section of the journal deals exclusively and extensively with literature awards. It lists each award with prior winners and spaces to write in this years and next years winners. Some of the awards were obvious–Pulitzer, Man Booker, etc. But then there were awards that I have never heard of. Governor General’s Literary Awards, James Tait Black Memorial Prize for Fiction, Miles Franklin Literary Award . . . the list goes on and on. There was also a list of good book club picks sorted by subject. 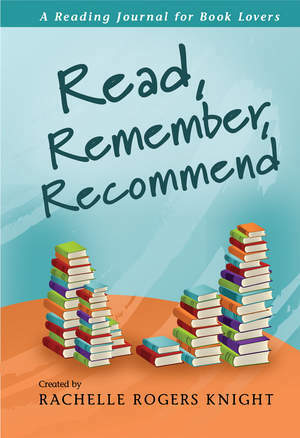 At the end of the section, there is a spot where you can list what books you want to read, own or recommend. There are also journal pages where you can pen reviews or just general thoughts. This is followed by pages where you can list books you’d like to recommend and to whom, as well as pages where you can keep track of books you have loaned out of borrowed. There is also a glossary with literary terms as well as tons of resources, including book blogs! Some of my favorite blogs are mentioned! BermudaOnion’s Weblog, Booking Mama and Linus’s Blanket, to name a few. How cool is that!! The journal itself was written and compiled by Rachelle Rogers Knight at Bibliobabe.com. If, like me, you are unfamiliar with this blog, I urge you to check it out–it’s a great blog. Overall, this journal is a terrific resource. Definitely better than any reading journal I have come across thus far. I will definitely make it a part of my library as well as keeping it in mind as a gift for other bibliophiles. I received this journal from the publisher for review. When I first saw this book and read the synopsis, I was not impressed. What’s the big deal? A young couple is expecting and are on a search for a family cradle. Yawn. But then I kept reading review after review that spoke highly of The Cradle, so when I saw it at the library, I took a chance. To tell the truth, it is a slim book, so I figured if I really wasn’t bowled over by it, it would be over quickly. Marissa and Matt are a young couple with a baby coming soon. They’ve both come from a sad background. Matt is an orphan who has been in and out of children’s and foster homes. He doesn’t know his biological parents at all, whereas Marissa is close to her father but was abandoned by her mother years ago. Because of her tenuous relationship with her mother, Marissa is clinging to every aspect of family she can, which is why she requests for Matt to go out searching for an old family cradle, supposedly from the Civil War era. Matt is incredulous that his wife is sending him out on a wild goose chase looking for a cradle, but as most husbands realize, you have to choose your battles. While he’s out searching for the elusive cradle, Matt makes all kinds of discoveries about Marrissa’s mother and the people she’s been involved with since she left. Meanwhile, the reader is given some insight into Matt’s own mother, although it doesn’t tie into Marissa and Matt’s story until much later. 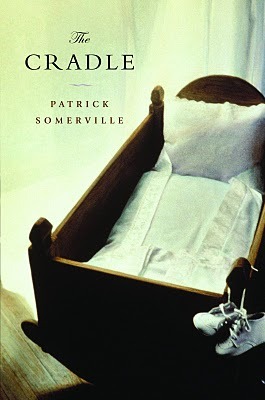 I appreciated where Sommerville was going with The Cradle. It was a great exploration of family ties and how people are affected by circumstances within their own family. The way Marissa was abandoned by her own mother was appalling. She seemed much more affected by her mother’s betrayal than Matt did by his own mother’s betrayal. I suppose maybe a good deal of this had to do with the fact that Marissa knew her mother abandoned her, whereas Matt did not know what type of circumstances made his mother give him up. I am not sure how I feel about The Cradle over all. I think the themes were worthwhile but I wasn’t blown away. It was an interesting story that I am not sure I will remember a month from now. Ok, so I am having another slow start today. What else is new? I suppose there is nothing better than having a lazy Sunday, so I won’t beat myself up over it! That is too many books–and some heavy ones at that! I care not though. They will all be coming with me, along with two others if they’re not finished by this Saturday. Better to have too many books than not enough, right? 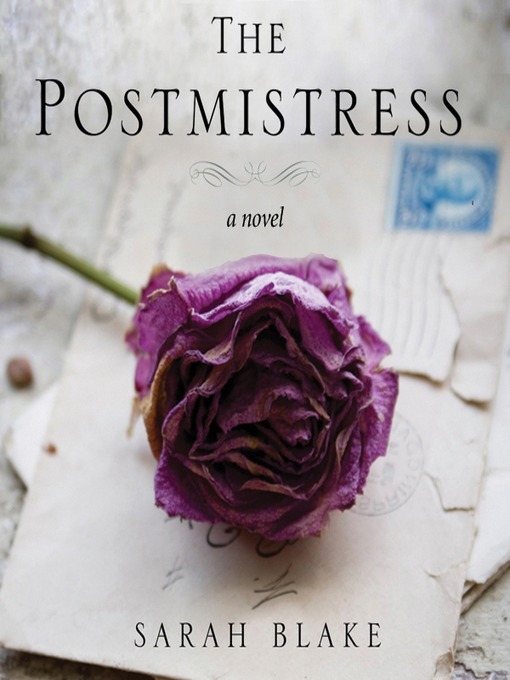 I read two books this week–The Cradle, by Patrick Somerville and The Postmistress, by Sarah Blake. I am now in the middle of Commencement, by J Courtney Sullivan. I may finish it today, but I am not holding my breath. I hope to get in some more packing and some cleaning before I get back to reading. I hope everyone enjoys their Sunday–happy spring! This is the first book I’ve read since starting my blog that I considered not reviewing. I guess the problem is that it wasn’t a good book . 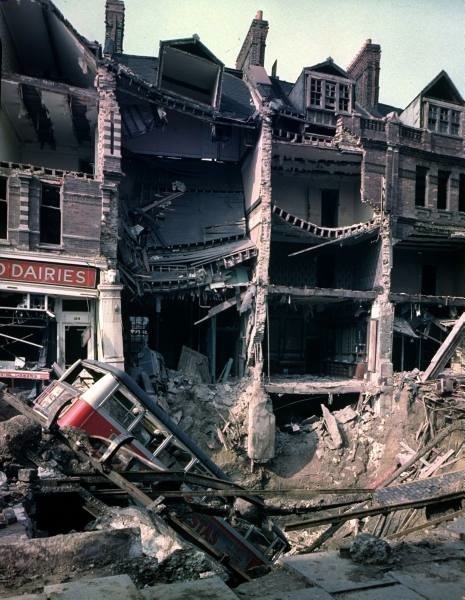 . . but it wasn’t bad either. I was ambivalent after finishing it. I’ve always been interested in death. Who isn’t? It’s something that everyone experiences but it’s a big mystery at the same time. So I guess in my fascination with death, this book intrigued me. It’s written by a mortician (obviously) and what I expected was a book of musings and experience. Instead, it was half guide book about dealing with death and half lackluster stories from Nadle’s experience as a mortician. Part of the problem, in my mind, was Nadle’s age. She just seemed out of date, which was reflected in the text. She graduated and began working in the 1950s and while you would think the ideas and stories Nadle related would transcend time, they didn’t stylistically. Some of the chapters did include scenarios that were more what I imagined. The one that sticks out most vividly is when Nadle is called to a home in the 50’s where a young child has died unexpectedly. He took ill in the morning and was dead by that evening. His grief stricken mother refused to let go of him physiaclly, despite the fact that he had been dead for hours and the effects of death were beginning to show. Nadle was called in to coax the baby away from his mother, which she was eventually able to do. The entire scenario was so distressing and real. THAT was what I was looking for in this book, but it was so few and far between. Would I recommend this book? No, probably not. It was a pretty quick read and I don’t regret reading it, but I am sure there are better choices other than this book. None that I can find!